Home > Referral Program > Can I display a Referral Program banner on my Ochanoko store? 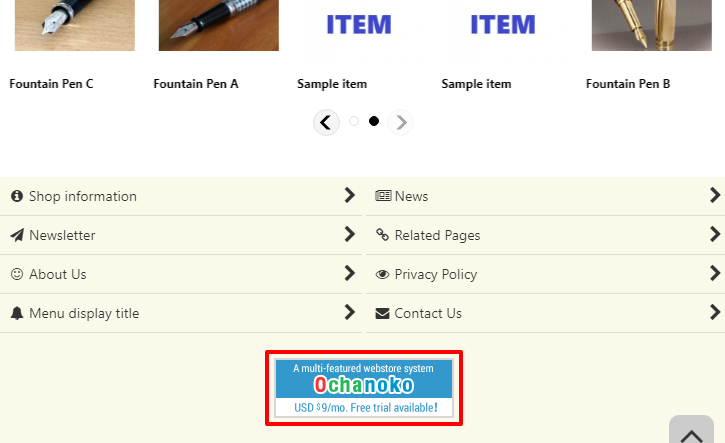 Q.Can I display a Referral Program banner on my Ochanoko store? To display a Referral Program banner on your Ochanoko store, navigate in the Shop Manager to Marketing → Ochanoko Referral Program. Enter your Referral Program account ID in the Referral Program account ID field, and select whether your Referral Program account is in English or Japanese. Next, select a banner image, and click Save. The banner image will be displayed in the footer of your store on responsive templates.